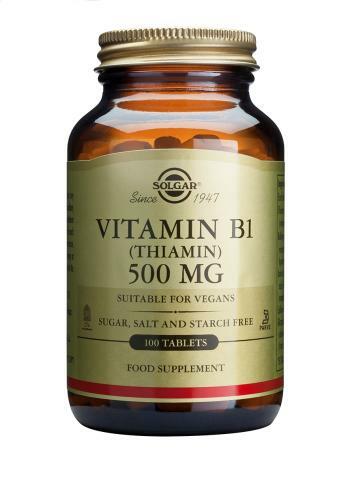 Solgar Vitamin B1 500 mg (Thiamin) Tablets is a water-soluble vitamin known to promote the health of the nervous system and support energy metabolism. 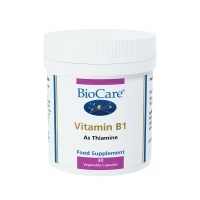 BioCare Vitamin B1 Health Supplement (thiamine) is a water-soluble B vitamin required by the nervous & digestive systems, muscles & the heart. 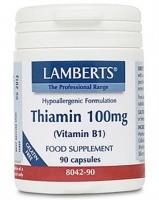 Lamberts Thiamin (Vitamin B1) is required for release of energy from food, and proper functioning of nerves.